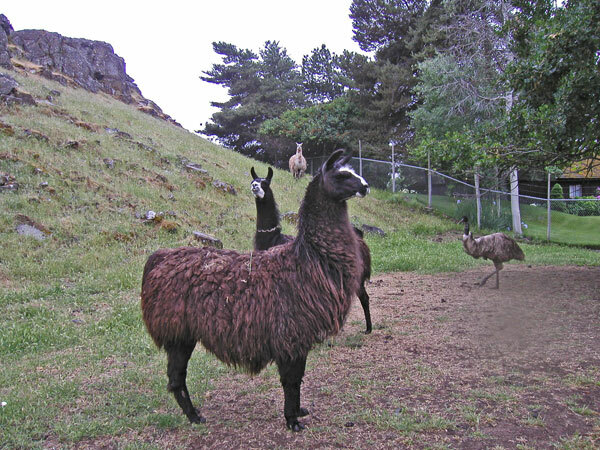 The Llama is a large camelid that originated in North America and then later on moved to South America. 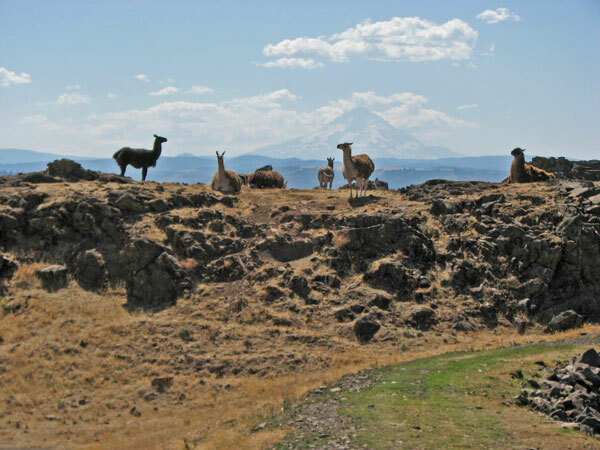 The term llama is used more broadly, to indicate any of the four closely related animals that make up the South American branch of the family Camelidae: the true llama, the vicua, alpaca, and guanaco. 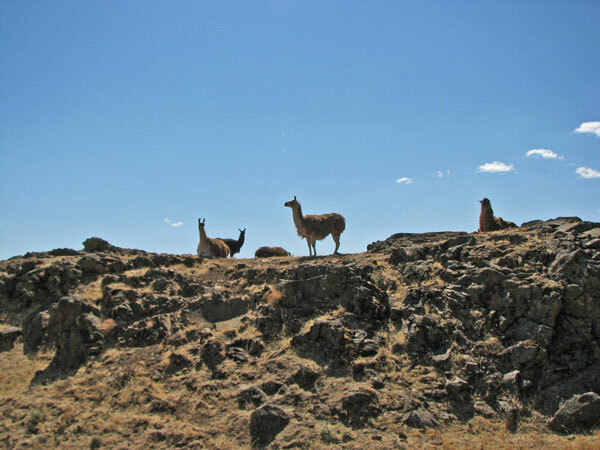 They were used as a system of transportation for the Incas. 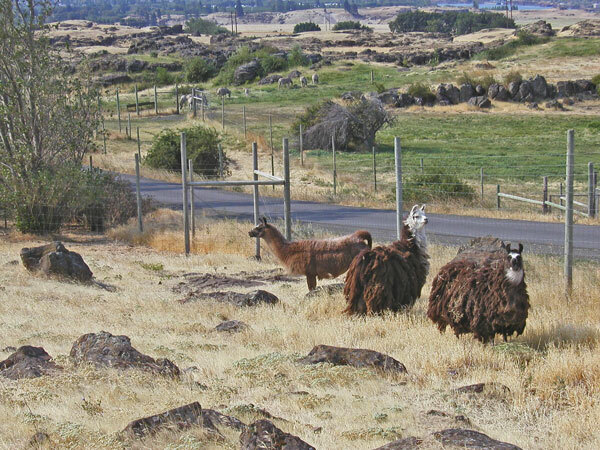 The most apparent visual difference between llamas and camels is that camels have a hump or humps and llamas do not. Ears are rather long and pointed. Feet are narrow and the toes are more separated than in the camels. The tail is short and fur is long and woolly. 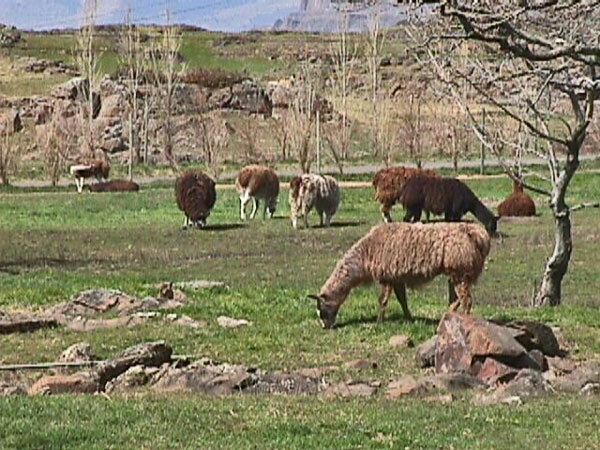 The llama and alpaca are only found in the domesticated state, and are variable in size and color, generally white, black, or piebald. 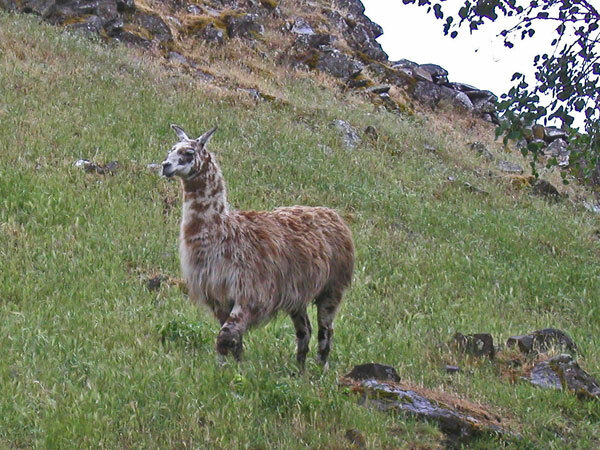 The guanaco and vicua are wild and endangered, and of a nearly uniform light-brown color with white below. 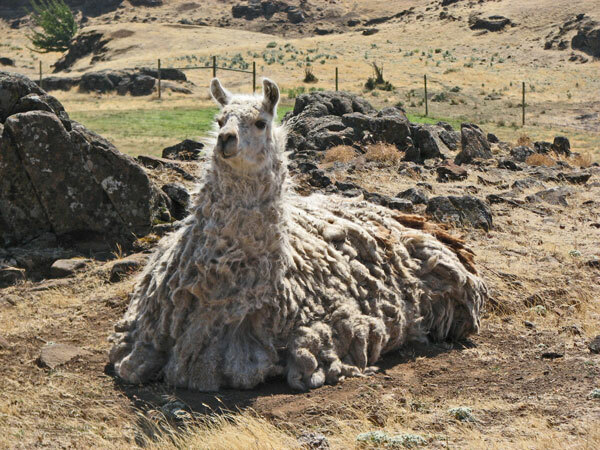 The vicua lives in herds on the bleak and elevated parts of mountain ranges bordering the region of perpetual snow, amidst rocks and high cliffs throughout Peru, in the southern part of Ecuador and down to the middle of Bolivia. Its manners very much resemble those of the chamois of the European Alps; it is vigilant, wild, and timid. 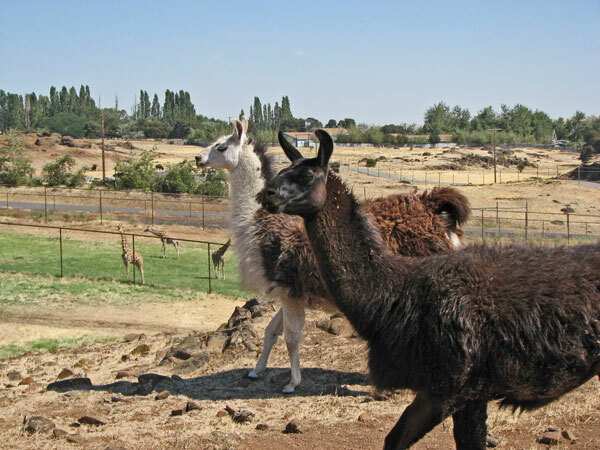 Llamas that are well socialized and brought up by loving families are very friendly and pleasant to be around. They are extremely curious and most will approach people easily. 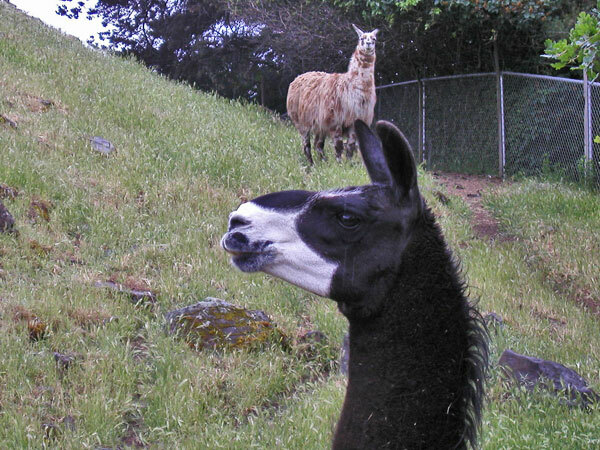 Occasionally, llamas do spit at each other or people. The habit of spitting is a defense mechanism. 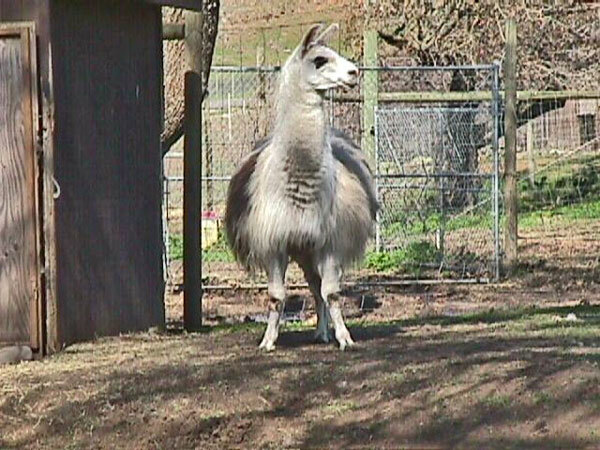 However, a llama would prefer to run away before confronting their assumed aggressor. 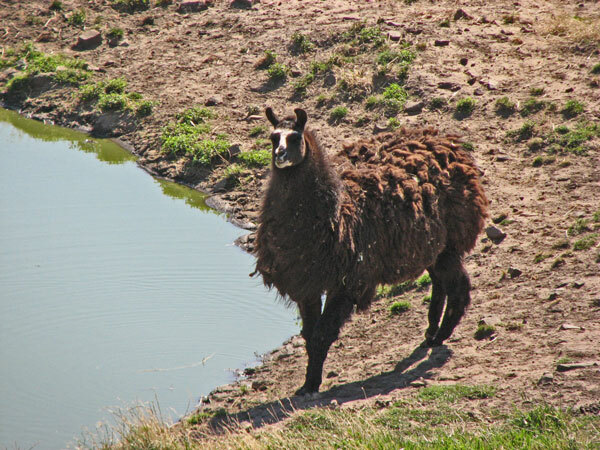 The sound of the llama making groaning noises or going "mwa" is often a sign of fear or anger. 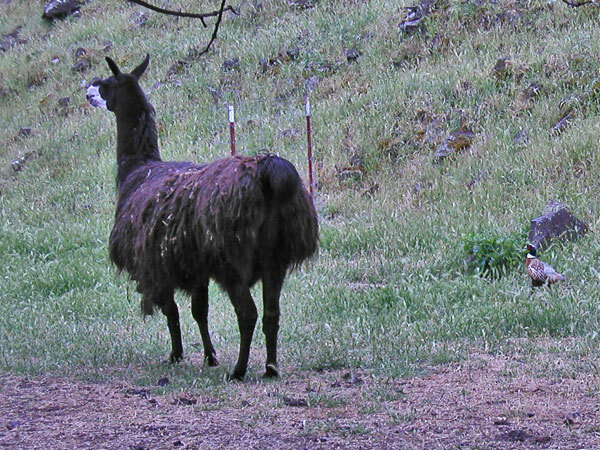 If a llama is agitated, it will lay his or her ears back. 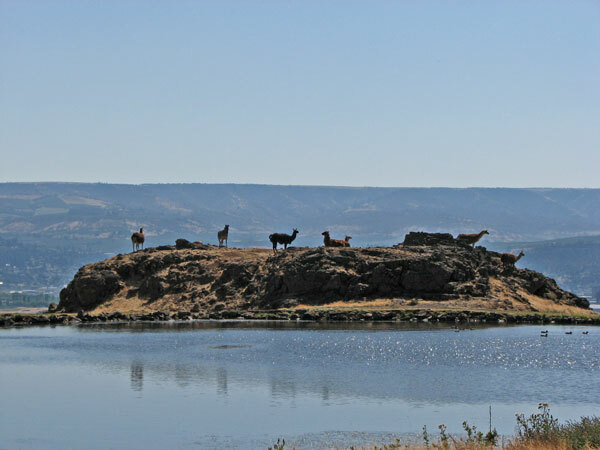 One of the main uses for llamas at the time of the Spanish conquest was to bring down ore from the mines in the mountains but since the introduction of horses, mules, and donkeys, the importance of the llama as a beast of burden has greatly diminished.